The 2016 edition of the London Film Festival has closed its doors. The last popcorn bucket has been swept away. The final plastic cup of booze has been placed in a bin bag. The festivities are over. And yet, there are some heady memories destined to remain ensconced in the brain forever. This might sound a tad wistful and poetic, but it deserves it. Featuring a grand total of 245 films, this was one hell of a ride. People were going gaga over La La Land and mad for Manchester By The Sea. This writer missed both of those. Typical. In absence of those strong favourites, you’ll have to make the most of what is detailed herein. Suffice to say that there was plenty of wonderment to be found elsewhere and maybe it is only right that a light be shone on their charms. Before the celebration of the good though, let’s look at the bad. 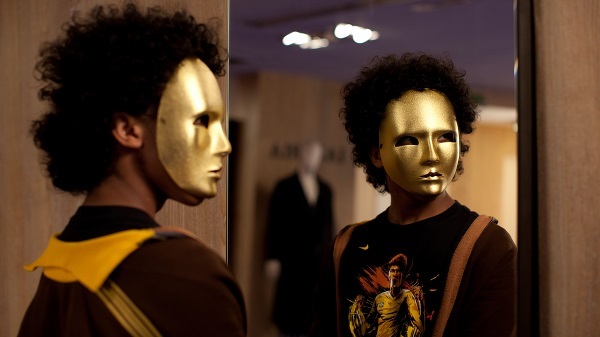 A lot of frustration was drawn from Bernard Bonello’s Nocturama (2/5). Why? Well, it is partly because it had the nub of a great, controversial discussion piece. Unfortunately, the flame of a good idea was quickly extinguished, as Bonello frittered it away like an ignorant child tossing a precious stone into the sea. On paper, the premise was mouth-watering, if a little uncomfortable. Essentially, it centred around a group of young adults orchestrating a terror attack on the French capital. Unfortunately, it had zero characterisation and more material flaws than the contents of the returned goods section of an Amazon dispatch depot. Quite how it was nominated as the ‘Debate Gala’ film (a status of quite some magnitude) is utterly unfathomable. 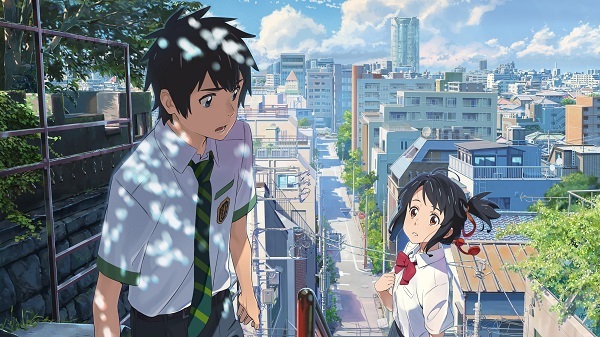 On a very different note, the sublime anime film, Your Name (5/5) by the new pretender to the Hayao Miyazaki crown, Makoto Shinkai, was an absolute delight. The visuals were stunning; the story was bonkers; the themes were deep and heartfelt. In fact, it was everything that you’d want from a film from this genre. Focusing on the plight of a young girl from the countryside and a boy from Tokyo who swap lives in their sleep, it was an emotively resonant voyage into the concept of longing, friendship, love, identity, memory and ambition. Wonderful. Any film about Edward Snowden is bound to attract attention. When it comes with the imperious heft of Oliver Stone in the director’s seat, you know you’ll be in for quite a political ride. In keeping with his penchant for single name monikers, this is Snowden (4/5). Framed by the events of Laura Poitras’s documentary CitizenFour, which showcased the events leading to the publication of the whistleblowing expose, this dips back in time to Snowden’s work at various government agencies. With typical aplomb, and an ability to entertain whilst tracking a serious story, Stone provides plenty of sugar to help his biopic go down. Joseph Gordon-Levitt is responsible for bringing Snowden to life, and he fulfils his brief with an uncanny resemblance. It is an impressive performance in an impressive film. Tracking an altogether different reality, the hard-hitting and stunning The War Show defies grading. The contents of this film are that of the Syrian citizens’ sufferance at the hands of a brutal regime, in-fighting and a civil war. It is a shocking watch. The director and narrator is former Syrian radio DJ Obaidah Zytoon. She collates her footage from the uprising in 2011 through to the present day. By focusing on the personal stories and destinies, as well as those on the wider scale, she hits an emotional register that is impossible to ignore. It is that potent combination of the macro and the micro. The outcome was that the credits rolled and then the lights came up and yet still no one in the audience moved. Stunning, disturbing and full of despair. We must address what is happening to those poor people. The War Show is a must-see. 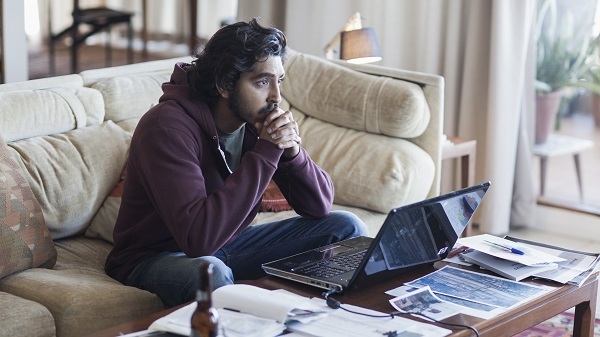 On a different note, Garth Edwards debut feature length film Lion (4/5), starring Dev Patel, Nicole Kidman and Rooney Mara, was a potent true story that built towards its denouement with some classy utilisation of the dramatic form. Although a cynic could accuse this tale about a young Indian boy displaced from his family, relocated through adoption to Australia and eventually seeking to reconnect with his biological parent as an exercise in melodrama, it would take a heart of stone to commit fully to that charge. Patel showed a range that has been lacking in other cinematic excursions, and newcomer Sunny Pawar, who played the younger version of Patel’s Saroo, was exquisite. The unmistakable sound of sniffling filled the auditorium upon conclusion. This was a pleasant surprise. The final appearance by the sadly departed Anton Yelchin, who lost his life earlier this year, took place in Porto (2/5); an art house movie executive produced by Jim Jarmusch and directed by Gabe Klinger. Obviously unforeseen at the time of completion as his final submission to the film form, this is a hazy, whisper that fails to engender much in the way of engagement or empathy. We follow the fleeting relationship of a lonely boy and a mysterious girl. Neither of them appear to have much to keep them in line or on the tracks. The ephemeral nature of their union offers an explosive supernova before dissipating sharply. The film flicks from the respective standpoints via chapters and the cinematography is doused in something akin to a Super8/sepia drained tinge. It is a short film, but one that feels long. Still, Yelchin is a loss. These Days (4/5), by Italian filmmaker Guiseppe Piccioni, was a pleasant surprise. The narrative traces the most hackneyed of concepts: a road trip. And yet, this coming-of-age story traverses some impressively tough ground and makes the incisive and serious points about time and growing up, as well as the bright, light-hearted humour that you’d expect. All of these girls face their own uncertainties and traumas. Some are worse and more serious than others, but all are wrestling internally. Executed with an adroit touch, by a director with a clear idea of where they want to take their story and how, this was an affecting and effective journey. Well worth digging out. Amy Adams had a busy festival by appearing in Tom Ford’s Nocturnal Animals (3/5) and also Denis Villeneuve’s Arrival (3/5). Despite both arriving (pun not intended) off the back of hype, praise and a heck of a lot of expectation, they nestled in the middle ground between success and failure. Ford’s outing was stylish and bold, but lacked heart. It seemed to buckle under its own carefully set out and intentional artificiality of colour coding. 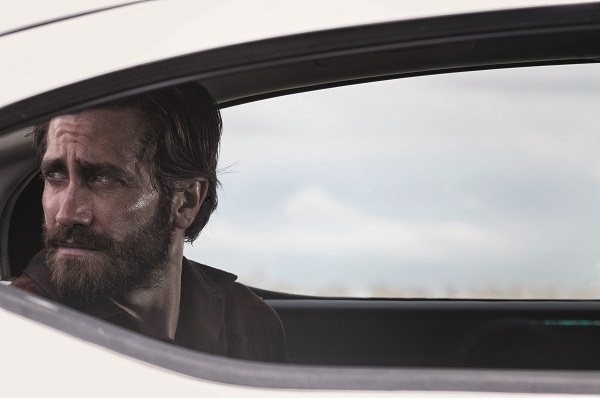 Jake Gyllenhal was reliably splendid, as was Adams, but Nocturnal Animals lacked substance. The story itself was woven commendably well though. Based on Austin Wright’s book ‘Tony and Susan’, a woman is haunted by the contents of an ex-lover’s novel. She reads it as a symbolic revenge tale. It sounds tasty. It’s just a shame that it falters when it could have otherwise glided. It’s quite a misanthropic little thing. Guilty of misfiring, but for different reasons, Arrival ambitiously aimed for the slow burn escalation that you’d associate with the top sci-fi films. Villeneuve opted to keep his cards close to his chest for this atmospheric film about aliens landing without rhyme or reason. It is a bit of a trite thematic trope and becomes rather tiresome. After all, how many of the ‘why are they here?’ stories do we need to experience on the big screen. It was a brave move to focus on the communication aspect, but aside from that, it wasn’t too memorable. Asghar Farhadi is a bit of a critical darling. 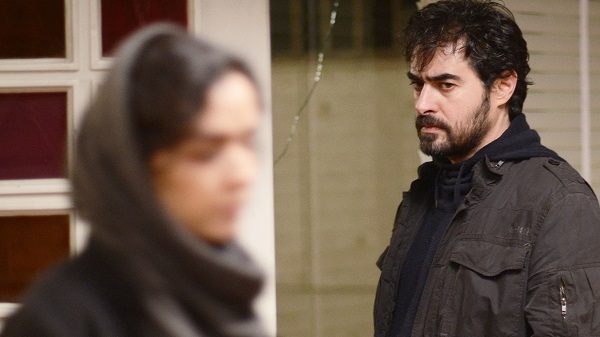 The director of the acclaimed A Separation, he was back with The Salesman (4/5); a slow paced film that unfurled into the most riveting final act. It is a difficult skill to bore and then entrance. Especially when you feel that the move is a deliberate one. This is a director who knows what he is doing and is plying his craft with subtlety. He lures the audience into a false sense of security before turning the screws on predicaments and conflict. In this outing, he follows a couple who are starring in a version of Arthur Miller’s The Death of a Salesman. Whilst preparing for their role, they move into a new apartment. The new apartment features belongings from its previous tenant. This history impacts upon their lives in a way that they would never have expected. Once again on form, Farhadi follows his previous film The Past with equal assuredness. He is yet to drop the ball. A great film. Mangus Carlsen is a wonder of the world. As the creator of the first chess computer games says in the documentary Magnus (4/5), “It is the equivalent of a man walking up Everest wearing tennis shoes and without any oxygen”. Often cited as the ‘Mozart of chess’, Carlsen is possibly the most famous individual in his native Norway right now. He was even selected by Porsche as one of only two sportsmen to feature in their recent advertising campaign. The other? Muhammad Ali. It says a lot. We’re talking about a boy who can be seen in Benjamin Ree’s documentary tackling 10 of the best chess-playing lawyers in the world simultaneously with his back to the boards and blindfolded. You can guess as to the outcome. This is a short documentary, but not one that you feel is lacking in any way. It is a paean to the wonderful capacity of the human mind and an inspiring feature on a supremely talented individual. It is a positive story in a world where we can often feel that that sort of thing is in short supply. Brilliant. Finally, the aforementioned Jim Jarmusch brought his latest to the LFF this year in the form of Paterson (3/5), which is a film focusing on Adam Driver’s ‘Paterson’ who is a bus driver in the America town of, well, Paterson. Jarmusch applies his typically cool, distant and observational swagger to this quiet film. It features a strong performance from Driver and also that of his co-star and on-screen partner Golshifteh Farahani. 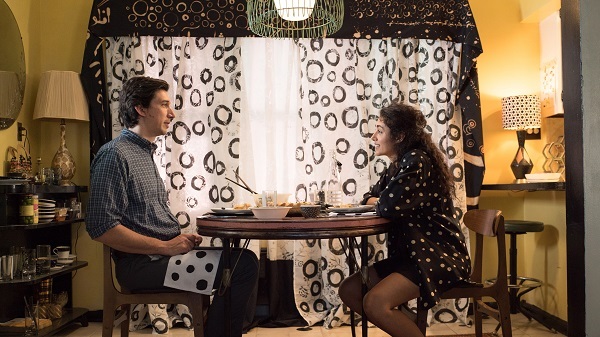 Playing out over the course of a week, we find an aspiring poet (Paterson) in his relationship with Farahani’s quirky Laura. We follow their routines. Whilst the plot is thinner than one of Paterson’s poems or that of his idol William Carlos Williams, it is an amiable outing that never quite does enough to make you lose your patience with it. Also, it helps by having a pooch that’s as memorable as The Artist’s Uggie or the cat from Inside Llweyn Davis. So there we have it. That was a portion of the London Film Festival 2016. See you all next year. If you made it, it would be interesting to hear your high-and-low lights. If you didn’t, get involved next year. Don’t miss out on the preposterous plethora of all things film.